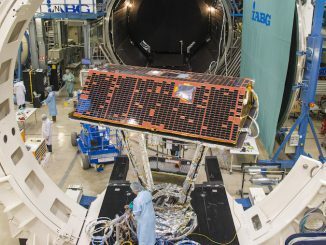 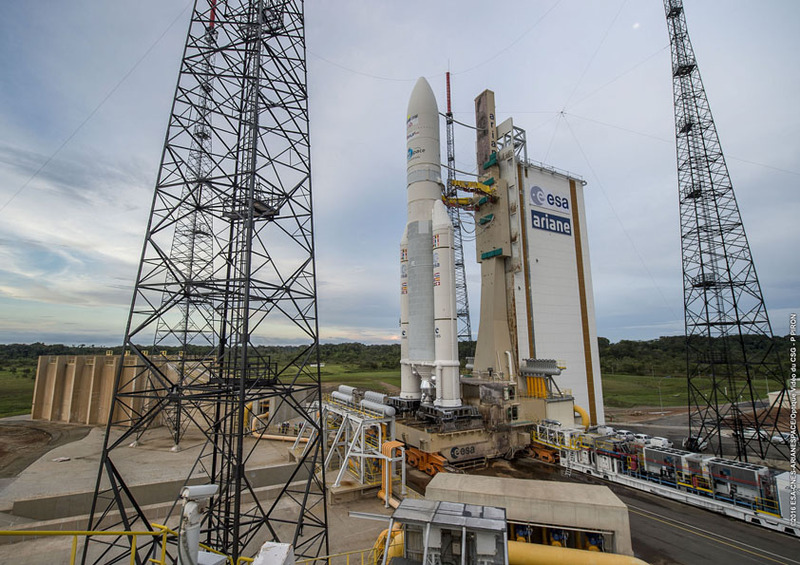 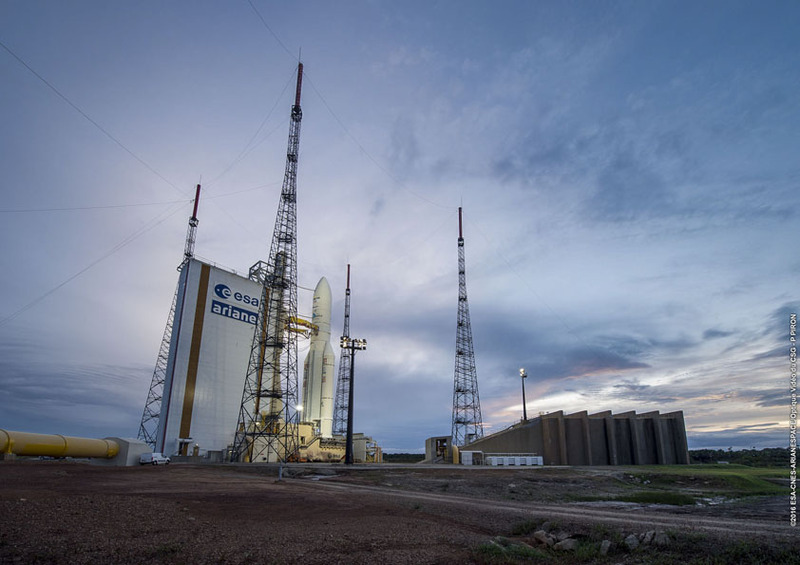 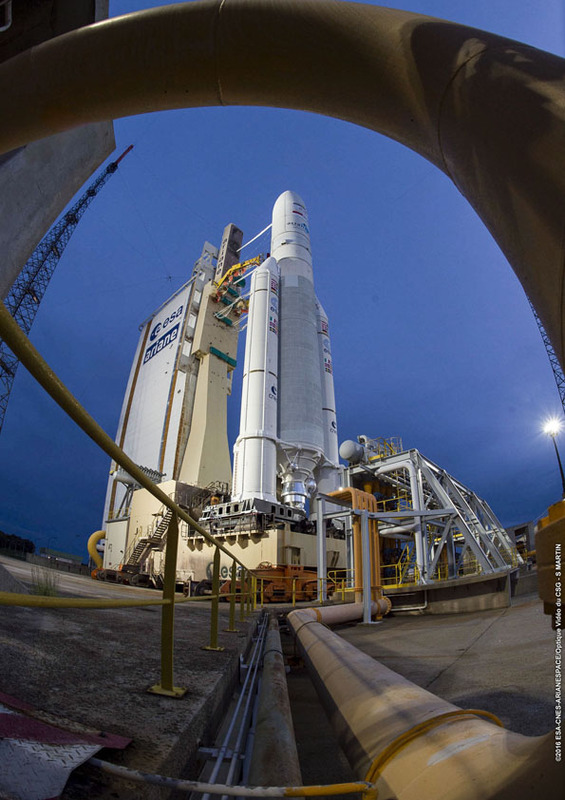 Unfavorable upper level winds kept the 180-foot-tall (55-meter) rocket grounded Friday, but Arianespace targeted another launch opportunity Saturday at 2030 GMT (4:30 p.m. EDT). 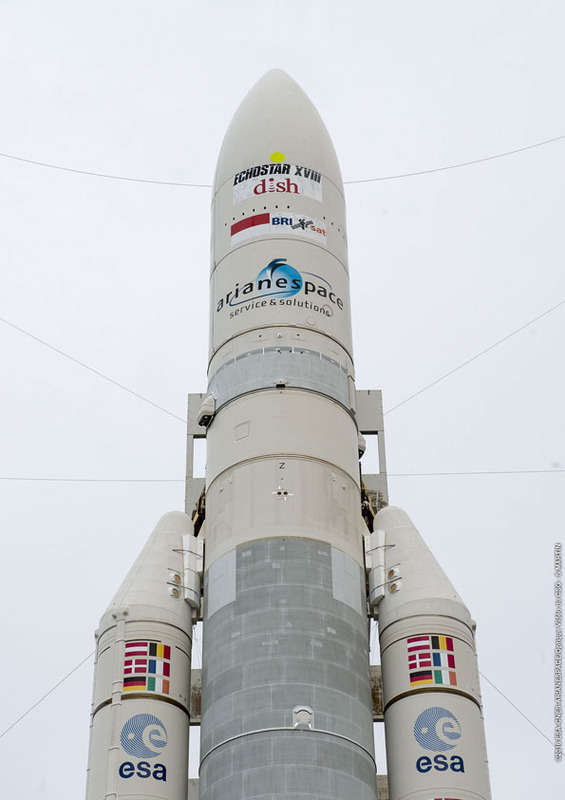 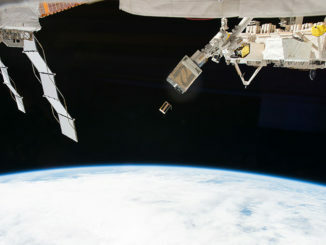 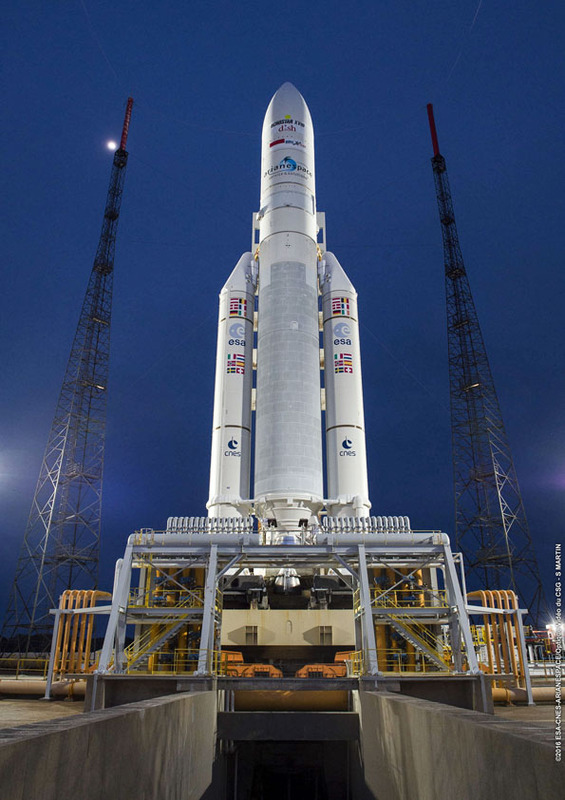 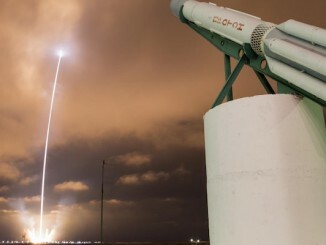 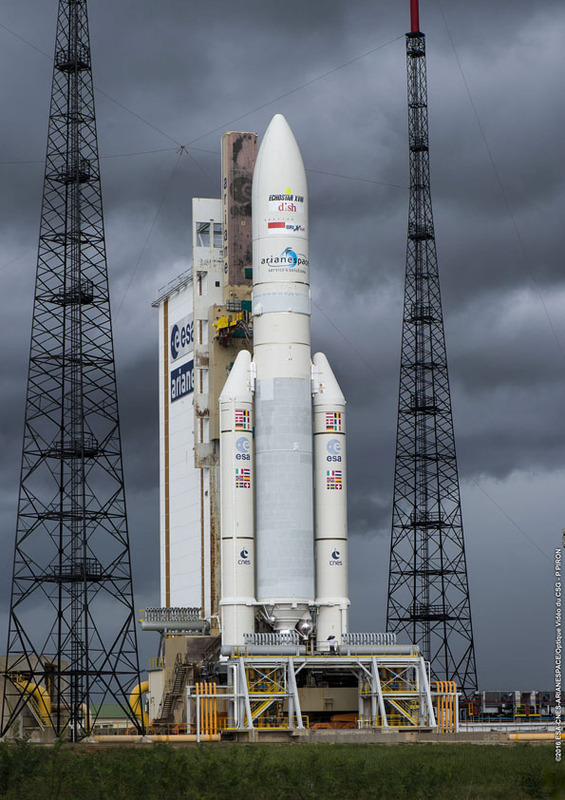 The rocket will blast off from Kourou, French Guiana. 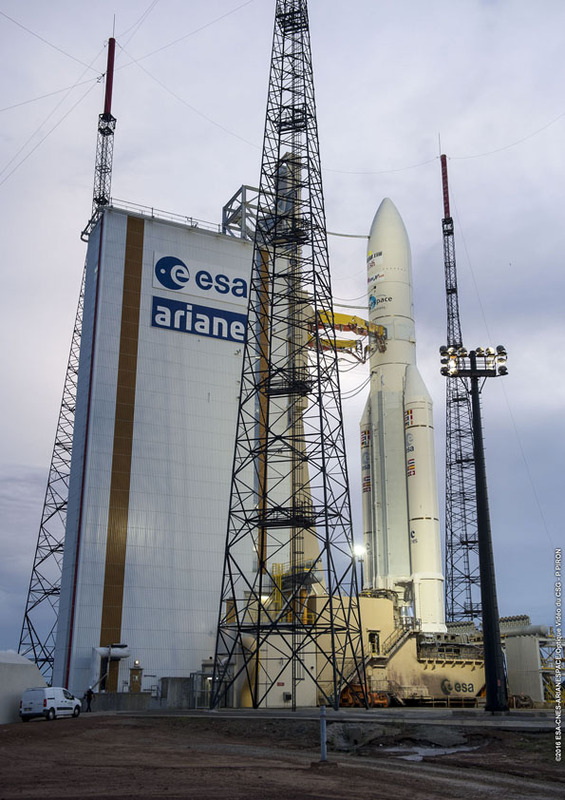 These photos show the Ariane 5 on the ELA-3 launch pad at the Guiana Space Center Thursday night after rollout from the rocket’s final assembly building.